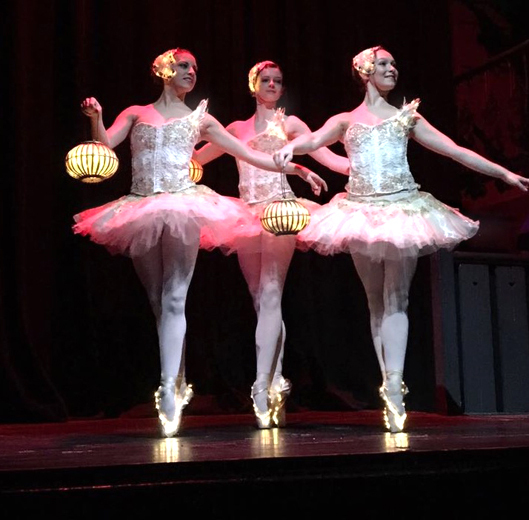 An enchanting mechanical ballet, The Clockwork Ballerinas, complete with jewel encrusted golden keys can be fitted with lights and speakers to play magical jewellery box melodies from their tutus. The Clockwork Ballerinas can dance in unison or individually, welcome and guide guests and distribute sweets or treats wearing their own music boxes if required, and can be dressed in lights. 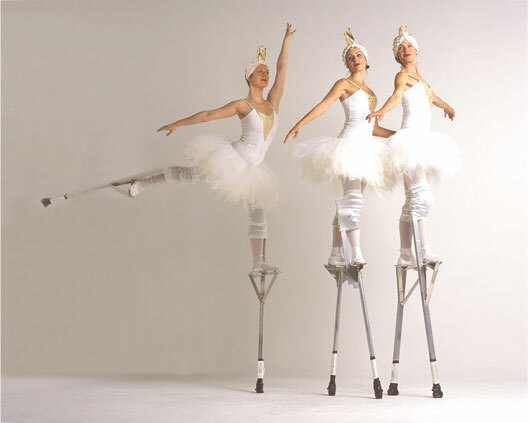 Great for cabaret entertainment, this act can be also performed as clockwork dolls, and worn with warmer accessories for outdoor or cold weather performance. The Clockwork Ballet is perfect for any Christmas Parade, as live wedding entertainment or for any client seeking entertainers for hire with an extra sprinkling of magic.